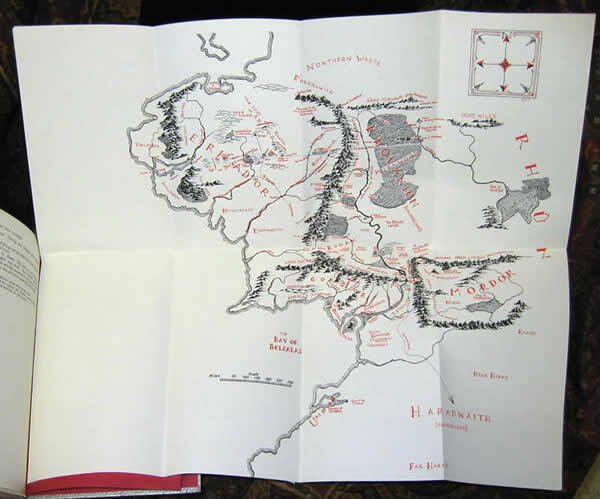 US Silver Anniversary Edition 1981 - $225.00 Houghton Mifflin , 1981 1st thus US Edition, Silver Anniversary Edition to celebrate the 25th Anniversary of the release of the Lord of the Rings in 1954. 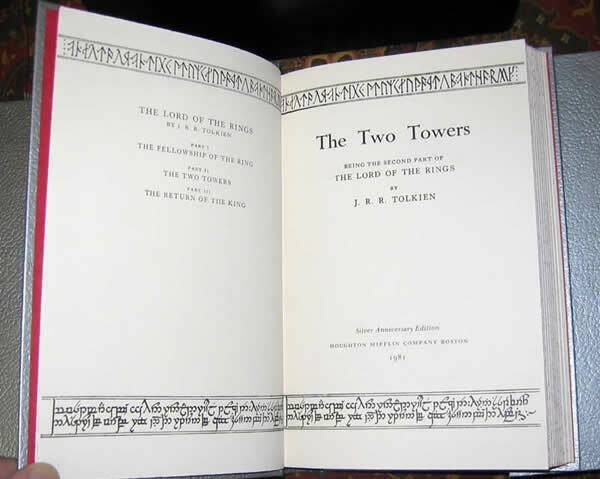 Houghton Mifflin , 1981 1st thus US Edition, Silver Anniversary Edition to celebrate the 25th Anniversary of the release of the Lord of the Rings in 1954. 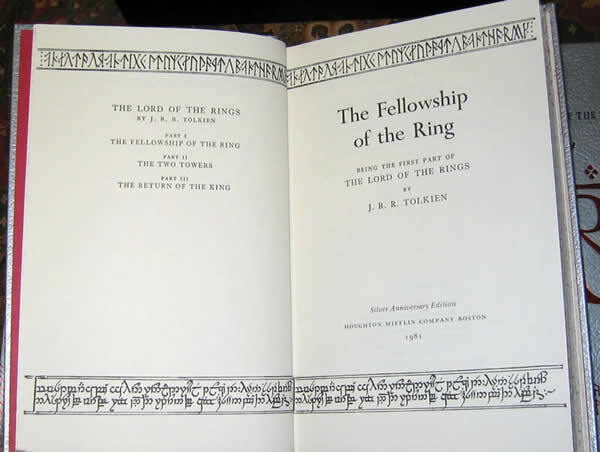 Houghton Mifflin , 1981 1st thus US Edition, Silver Anniversary Edition to celebrate the 25th Anniversary of the release of the Lord of the Rings in 1954. 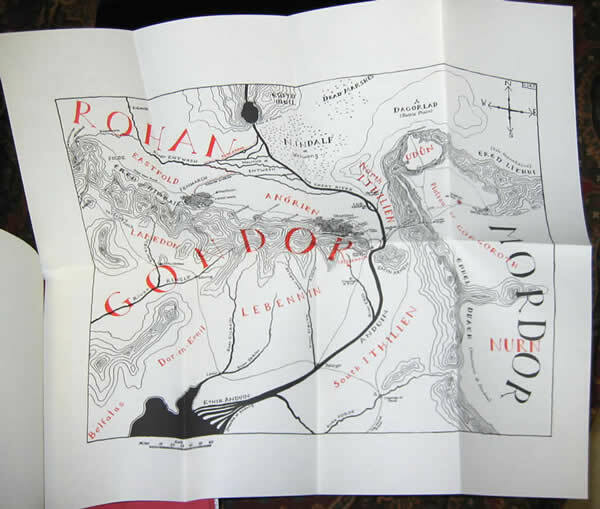 8vo - over 7<=" - 9<=" tall. 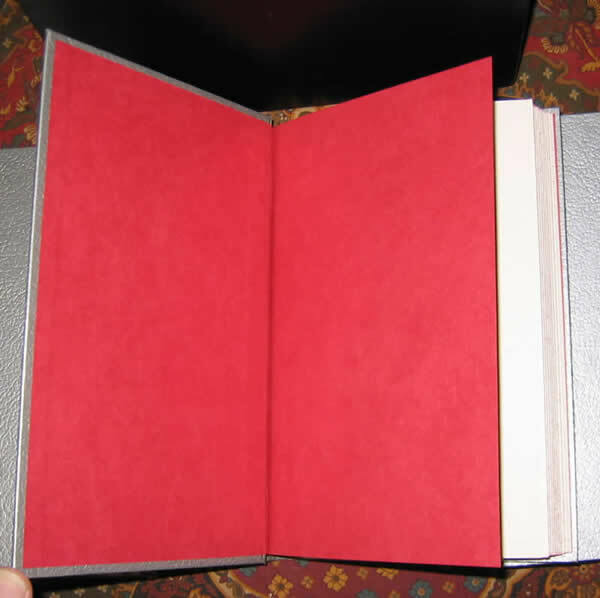 Delayed until 1981, a beautiful design of silver faux leather with red mountains on the spine. 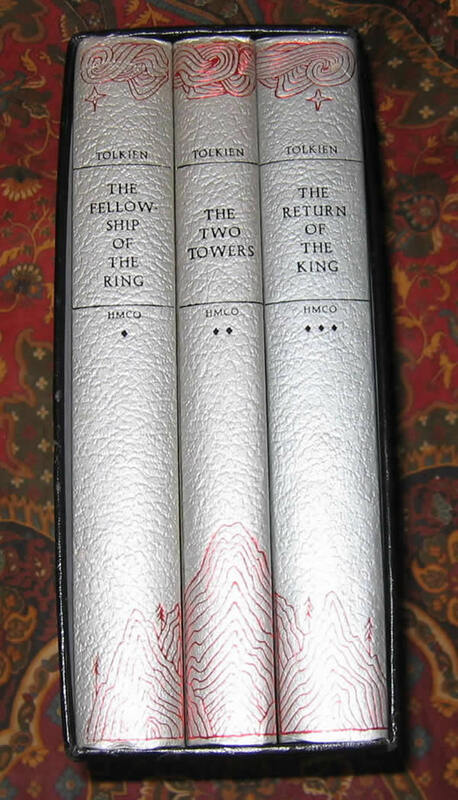 This set is in Very Good Plus condition. 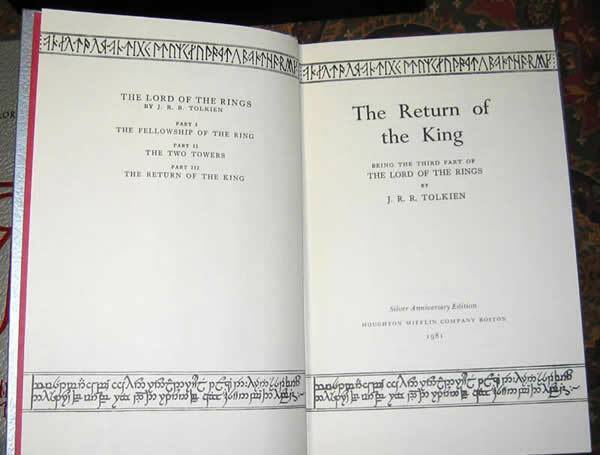 The books show only minor rubbing, with one tiny scuff on the spine of the Return of the King. 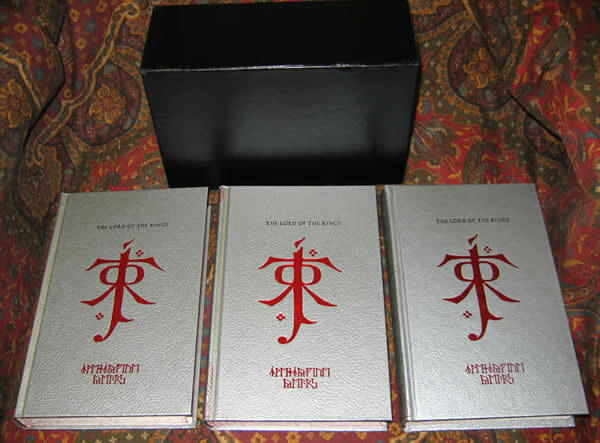 Housed in the original publishers slipcase, with only light shelfwear on the base.